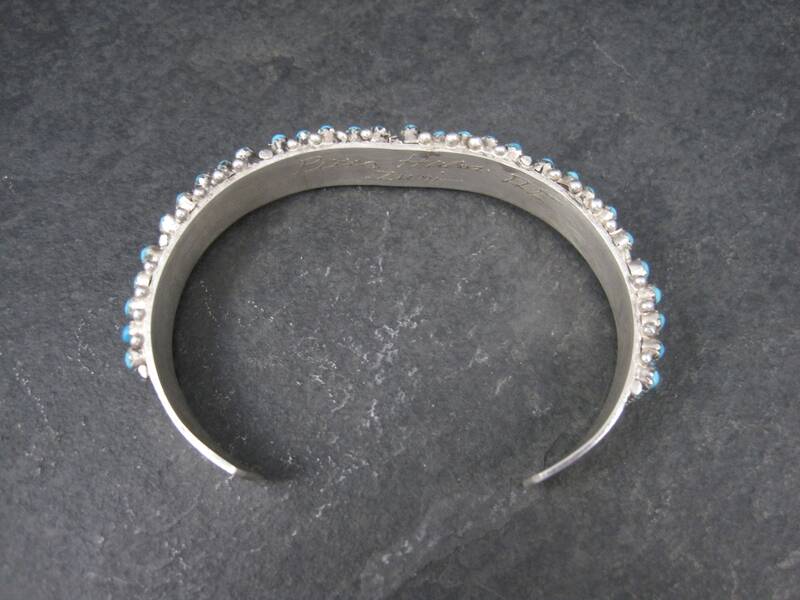 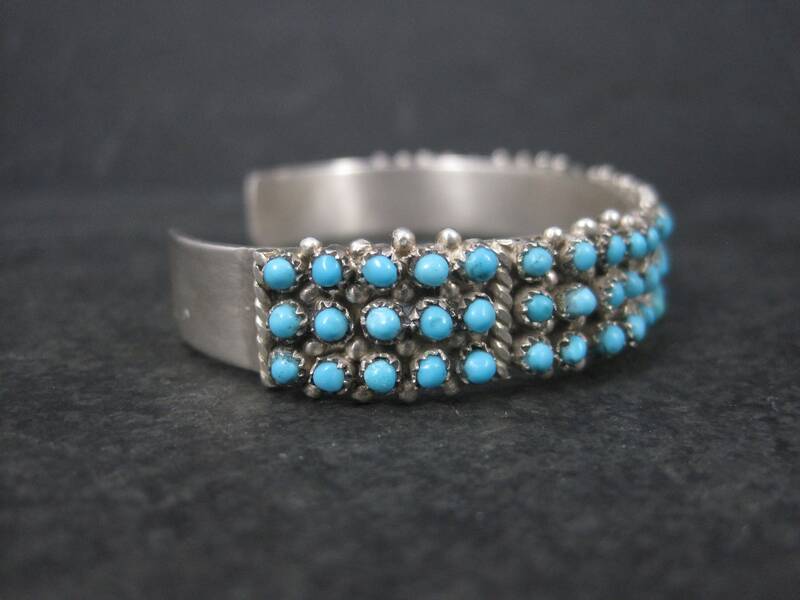 This gorgeous cuff bracelet is sterling silver. 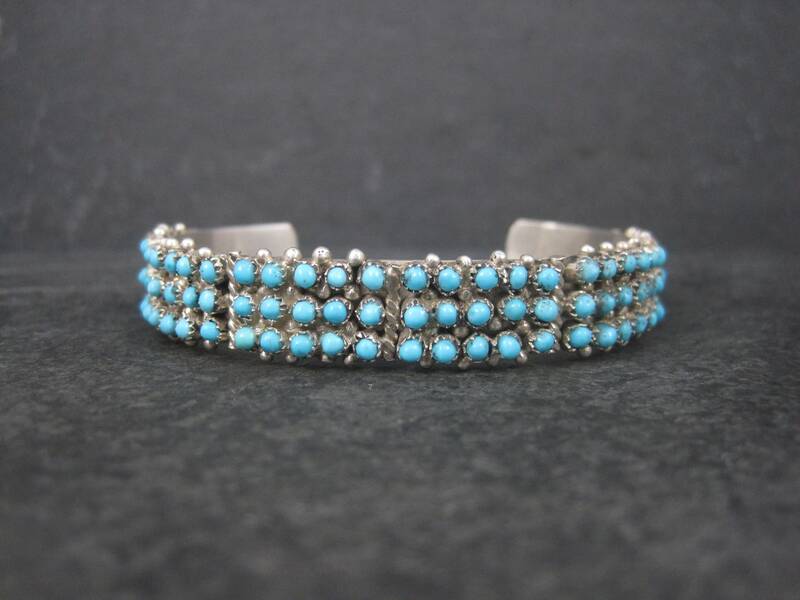 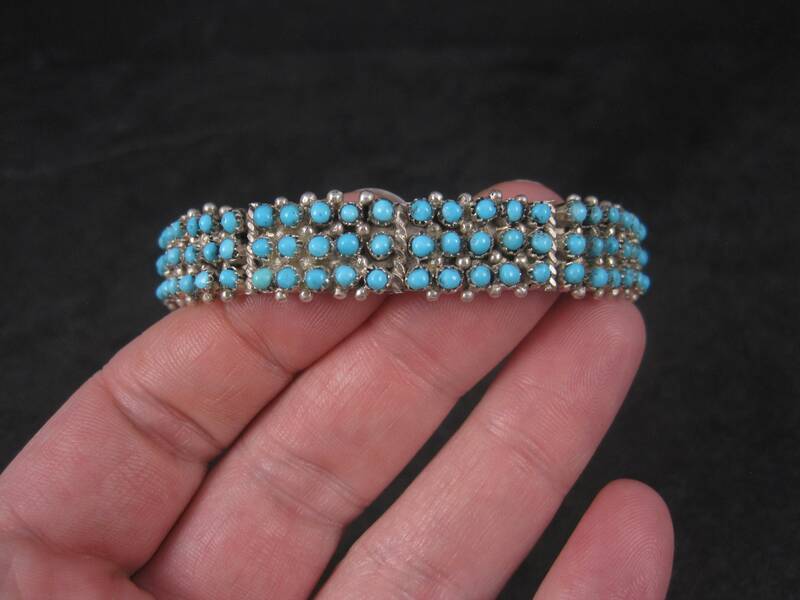 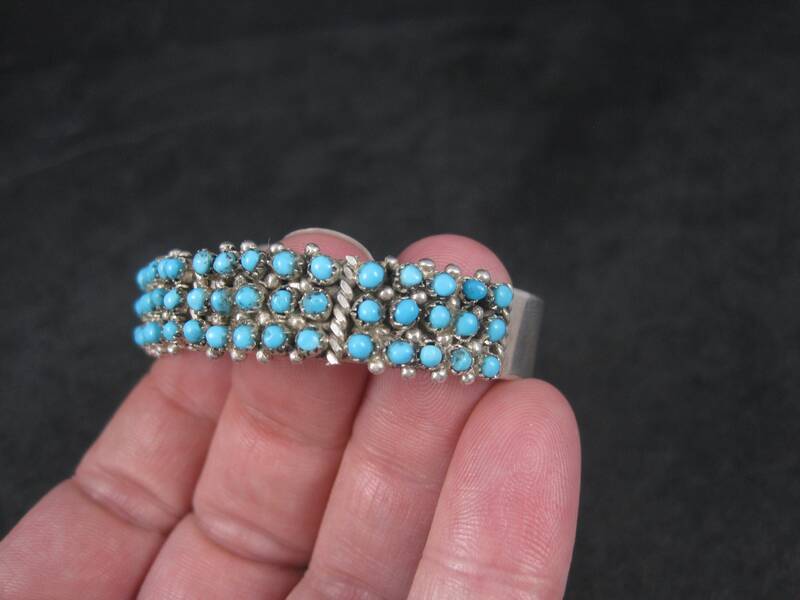 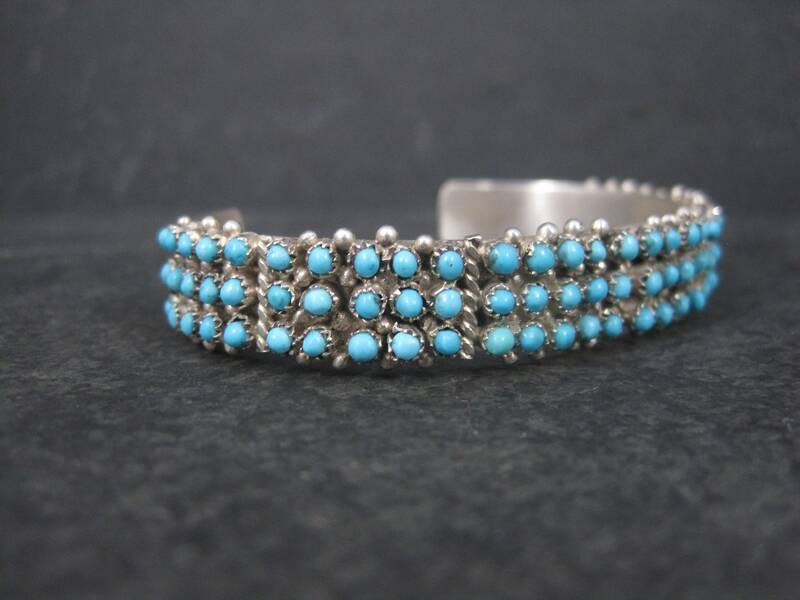 It features 90 snake eye cut turquoise gemstones. 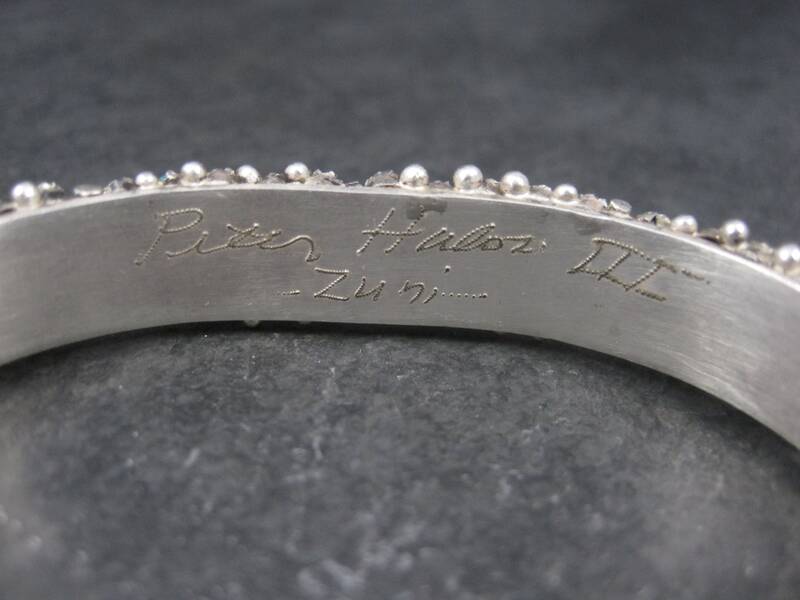 This signature design belongs to Zuni silversmith Peter Haloo III. 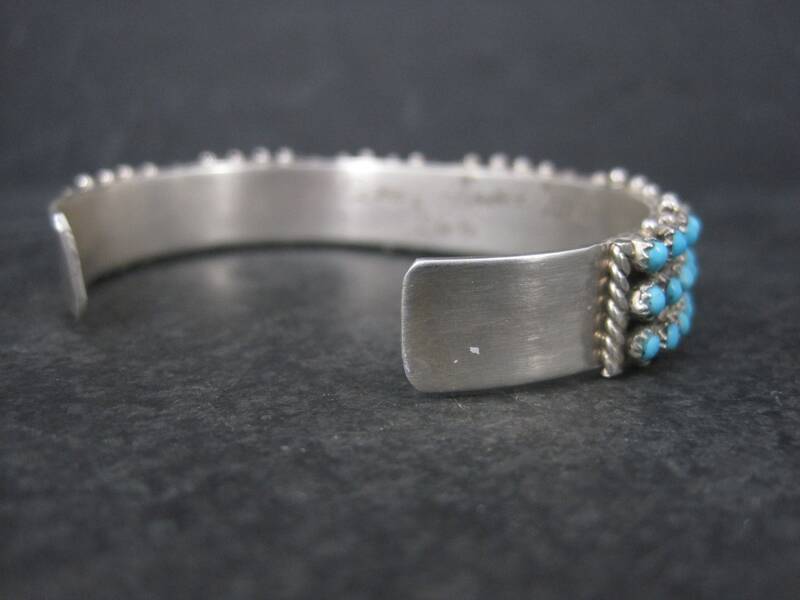 It has an inner circumference of 6 1/4 inches including the 1 1/4 inch gap.